Our Senior Winterim Experience is a comprehensive study of seniors' interests and career opportunities. Each of our 119 seniors shadow two career professionals for 30 hours. The students begin in September by completing research, writing business letters to a potential professional to shadow, and learning basic professional etiquette. The experience is culminated by a presentation given to a panel of faculty members. We had many students travel the nation as well as stay right here in the Triad, shadowing a wide array of professional careers. Bishop Peter J. Jugis came to celebrate Mass with the students during Catholic Schools Week. The Peer Minister students provided him with a quick walking tour and a beautiful luncheon. We are so grateful that he was here for a visit. Alumni Breakfast for classes 2015-2018. Our students giving back to their elementary schools during Catholic Schools Week! 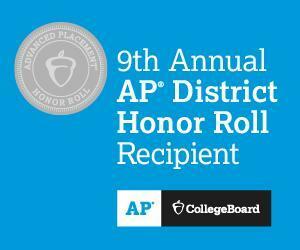 Bishop McGuinness Catholic High School Placed on the College Board's 9th Annual APÂ® District Honor Roll! 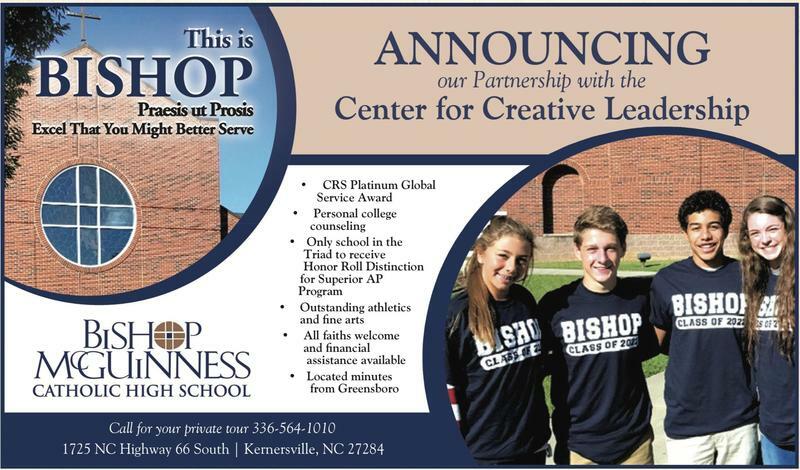 As part of the Diocese of Charlotte, Bishop is one of 373 school districts in the U.S. and Canada being honored by the College Board with placement on the 9th Annual APÂ® District Honor Roll. Lexington and Burnsville school districts were the only other systems honored in the state of North Carolina. This is our second straight year to be honored by the College Board! Go VILLAINS! Our Model UN Team successfully competed at Vanderbilt and American University. Freshmen enjoying brunch and cookie decorating! The party took place during our club period and was hosted by the "Bigs" which is our Big Brother and Sister Program.